If you’ve picked up Grand Theft Auto V, then you’ve likely tried to purchase a property or business. Unless you’ve been lucky enough to make a splash in the stock market, most of the more desirable purchases you’d like to make aren’t feasible just yet. 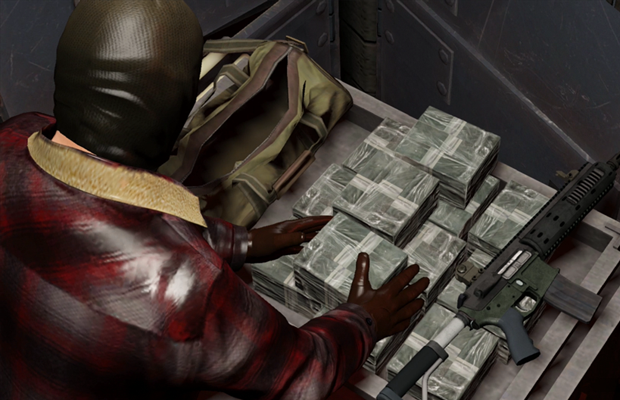 If you’ve been waiting for news of an infinite cash exploit in GTA V, we have a great guide for you. In GTA V, there are two hidden locations in the ocean that have two cash bundles. You’ll need to level your oxygen skill completely for at least two characters in order to complete the exploit. As you take two characters out to these respective locations, you’ll ultimately be locating two bundles that contain $9,000 in one and $25,000 in the other. Once you’ve grabbed a bundle with one character, you’ll simply switch to the other character and do the same exact thing. You’ll notice, however, that your oxygen resets along with the money which allows you to continue to collect it over and over. As the video above states, this works best with just two characters. If you have each character hovering over the cash it’s reasonable to collect a million dollars within just over two minutes. How much money have you earned from this infinite cash exploit? What are some other ways that you’ve earned money in the game? Be sure to let us know what you think by leaving us a comment below, or continue the discussion on Facebook and Twitter.